I am still alive! And still reading, though having a physically challenging day job where I’m often in overtime (hopefully soon to change now that I have just received a promotion) has certainly impacted the amount of time I have for books (and has severely impacted my writing). Still, I’m here. And there is so, so much to look forward to over the rest of the summer. I’m no longer pretending, even to myself, that I’ll get around to reading everything on this list, but this is what I’ve got my eye on in July, August and September of 2018. One look at my list of books I’ve actually read this year will tell you that I have given up trying to read every single novella Tor.com publishes. There’s just too many, and while I have always appreciated that reading them all took me outside my comfort zone and got me to read genres and styles that I don’t normally seek out, less time to actually spend reading in general means that I’m getting a little more selective about where I take risks. After absolutely despising Myke Cole’s The Armored Saint (apparently 2018 is not a year in which I want to read stories where the bodies of women and girls are destroyed in service of taking hackneyed jabs at organized religion), I have to admit the shine wore off of Tor.com for me a little bit. That feeling, combined with an uninspiring publication schedule full of too many sequels to things that I liked-but-didn’t-love has meant a lot less Tor.com novella-reading for me this year. That said, there’s a lot to look forward to from Tor.com Publishing over the remainder of this summer. I know someone must just be eating up all the Lovecraftian reimaginings Tor.com has published in the last couple of years, but I am not that someone. I rather loved Tchaikovsky’s D&D-esque adventure novel, Spiderlight, but this book sounds basically nothing like that at all. I’m not sure I’m down for it, to be honest, but we’ll see how the early reviews of it shape up. I don’t usually buy hardcovers, especially after I’ve already bought and read ebooks, but have you seen how fantastically beautiful these redesigns are? Having been informed by P. Djeli Clark’s essays and moved by his short fiction, I’m thrilled to see what he does with this longer format. I’m so excited for this book, but I’m also so sad that it’s the last in its series. I fully expect it to be one of my favorite reads of 2018. It’s a Lady Astronaut novel. Book 3! It’s about Bea Tanaka! A sequel to last year’s The Strange Case of the Alchemist’s Daughter. I haven’t gotten my hands on an ARC of this, but it sounds like an expansion of Novik’s story of the same title in The Starlit Wood. I loved that story, and I have high hopes for this novel. 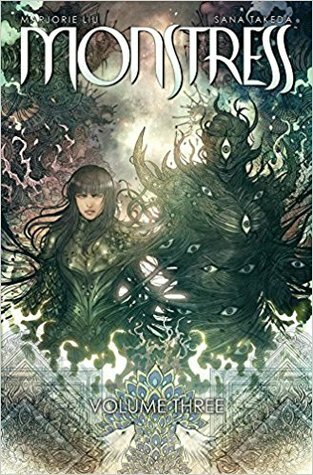 In all likelihood, I’ll hold off on reading this one til its companion comes out in another year or so, but I’m still looking forward to it. In the meantime, I will continue eating up Gail Carriger’s delicious novella-length works as fast as she can churn them out. I’m surprisingly hyped for this Beowulf in the suburbs novel. Probably my most-anticipated book of 2018. This seems like it might be cute. I don’t read much romance these days, but I loved the first book in Alyssa Cole’s Reluctant Royals series and preordered this one as soon as I finished the first. I really liked Nicky Drayden’s debut novel, The Prey of Gods, so I’m interested to see what she does next. It’s another Lady Astronaut novel. Kings of the Wyld was a surprising entry on my Best of 2017 list, and I cannot wait to read this sequel/companion to it. 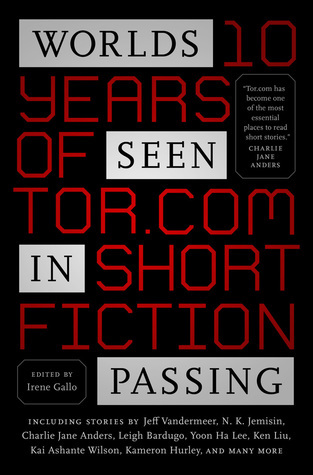 A collection of short fiction from the first ten years of Tor.com. I don’t know if it’s the sort of thing that I’ll read cover to cover, but it should be a great addition to my collection of anthologies that I slowly work through over the course of some years. I believe this is mostly previously-published work, but there’s quite a lot of it that I haven’t read and I’m very excited to read the Arthurian novella that’s included in the collection. I don’t read many comics, but I’ll never miss a trade paperback of this one. If you are a collector of trade paperbacks, you may also want to check out Barnes & Noble’s exclusive edition of this title, which comes with an alternate cover and a double-sided poster. FIYAH continues to be one of the most exciting and important SFF markets in publication. I’ve already received my copy of this, and it is a stunningly beautiful little book. It’s printed on gorgeous satiny paper, sports top-notch interior design, and has gorgeous artwork–including multiple fold-out pages. It’s a truly impressive piece of work. You can get your own by supporting FIreside at the $10/month level on Drip or on Patreon. I’m still getting the paperback issues of Apex as well, which are getting slightly nicer each issue as they work out some design kinks and get things a little better put together each time. Happy to see a new post ! Thanks for the summer reading roundup, it seems there is some good stuff to look forward to.